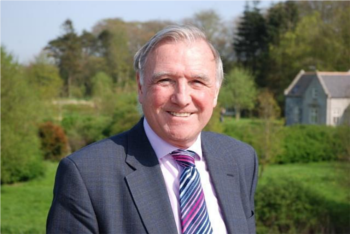 The Private Members Bill (PMB) on Deaf Communication is being put before parliament by Sir Malcolm Bruce MP, one of the deaf community’s foremost advocates. The bill provides an opportunity to raise the profile of deaf people’s communication needs. 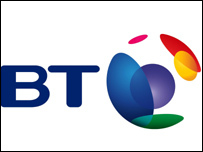 In April 2014, BT will launch the Next Generation Text Service. The new service has some exciting new features. You may be aware that Lilian Lawson OBE, Director of the Scottish Council on Deafness (SCoD), is retiring in December. SCoD have appointed Janis McDonald to succeed Lilian and she will take up her appointment on 3 January 2014. We have added a new training event to our programme for this year. Signature centres are invited to come along and find out more about our qualifications, services and teacher training programme. We have been keeping you up to date on our campaign for a GCSE in British Sign Language (BSL). We are calling for BSL to be part of the Modern Foreign Language (MFL) group of subjects, like other languages. 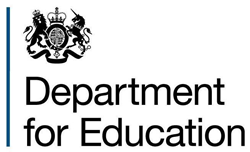 The Department for Education’s consultation, Reformed GCSE Subject Content, closed yesterday, 20 August, and Signature have responded. Five candidates who recently applied and were accepted to undertake external verifier training are attending the induction programme across the next two days in London. Signature is using a Department of Health consultation to reiterate that communication support for deaf people should be at the heart of the NHS mandate. We responded to the consultation, Refreshing the NHS Mandate, to make sure deaf people receive the safe, high quality communication support they are entitled to from the NHS. Would you like to become a Signature external assessor? Is your first language BSL? Do you have high level signing skills and understand sign linguistics? Do you want to help improve standards in BSL assessments? 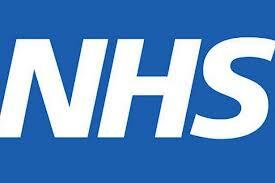 If so, working as a Signature external assessor may be the perfect opportunity for you. There are currently no staff members based in the Signature Northern Ireland office. Any enquiries should be directed to the team in our Durham office in the first instance. Over the coming months we will be reviewing our operations in Northern Ireland and will endeavour to update our valued stakeholders there as soon as we are able to. The judging panel for the Signature Annual Awards will meet soon to make the final decision on the winners in the prestigious 2013 Signature Annual Awards. The panel face the tough challenge of choosing between a host of worthy shortlisted nominees. News reaches us at Signature that the Liberal Democrats will have a debate on British Sign Language (BSL) at their autumn conference. The debate on Tuesday 17 September has been prompted by a motion which will ask delegates to vote on the legal status of BSL. Signature aims to make the benefit assessment process more accessible for deaf and hard of hearing people with our response to a government consultation, Department for Work and Pensions (DWP) Fourth Independent Review of Work Capability Assessments. 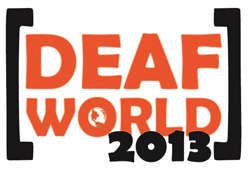 Signature will be exhibiting at Deaf World 2013 on Friday 27 September. This free event is being held at Southampton Guildhall and is the largest deaf exhibition on the south coast. The Department of Culture Media and Sport (DCMS) recently published a report following their two year review on the future of the UK's media and digital sectors. The report, entitled Connectivity Content and Consumer, contains some interesting findings for deaf and hard of hearing people.